Digital Thermometer Just $20.79! Down From $87! PLUS FREE Shipping! You are here: Home / Great Deals / Digital Thermometer Just $20.79! Down From $87! PLUS FREE Shipping! For a limited time only! 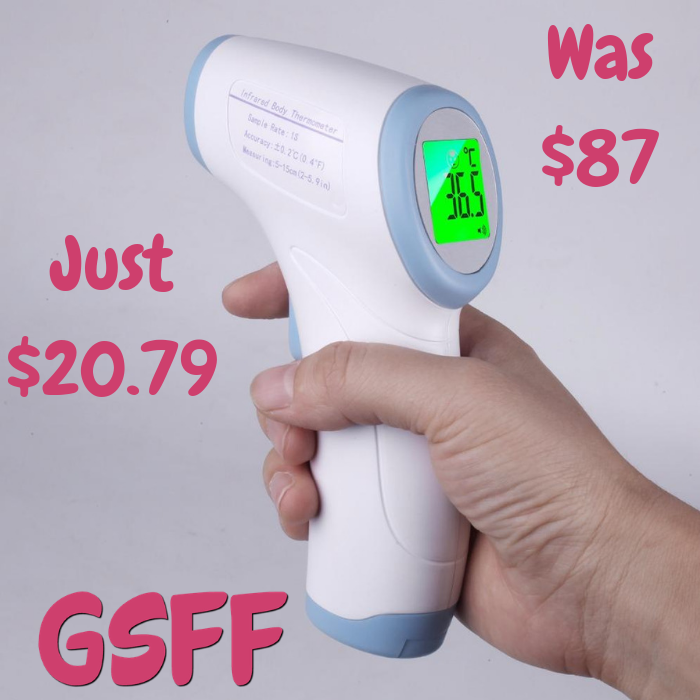 Head over to Overhalfsale.com where you can get this Multi-Function Digital Thermometer for just $20.79 down from $86.99 when you use promo code BLACKFRIDAY at checkout! PLUS, it’s FREE shipping! Non-contact Body Infrared Thermometer is specially designed to take the body temperature of a person regardless of room temperature. Depending on various skin types and thickness, there may be temperature difference. When the indoor temperature is significantly different, the body infrared thermometer should be placed in that room for 10-15 minutes before using.